January 2019 With The Full Wolf Moon Comes A Spectacular Total Lunar Eclipse! We Start this New Year with a Full Wolf Moon Surprise. 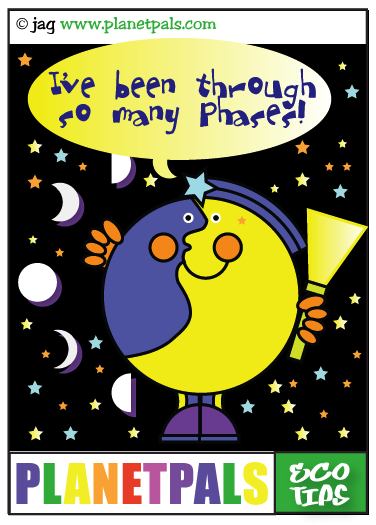 A Total Eclipse on January 20 and 21. According to Space.com the full moon of January, called the Wolf Moon, will occur in the U.S. just after midnight on the night of January 20-21, and viewers in the Americas, northwestern Europe and even the Arctic will be treated to a lunar eclipse. January's full moon in the sign of Leo at 0 Degrees. 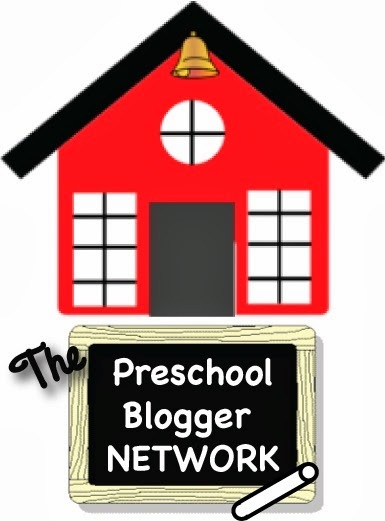 Times vary depending where you live. 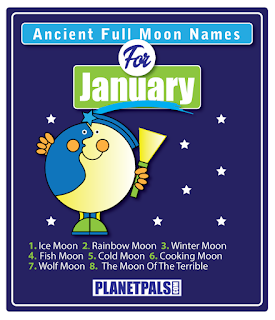 Complete viewing list can be found here The Ancient Full moon names for January are the Ice Moon, Rainbow Moon, Winter Moon, Blood Moon, Fish Moon, Cold Moon, Cooking Moon, Wolf Moon, and the Moon of the Terrible. Go here for a complete list of full moon names and the cultures that named them. 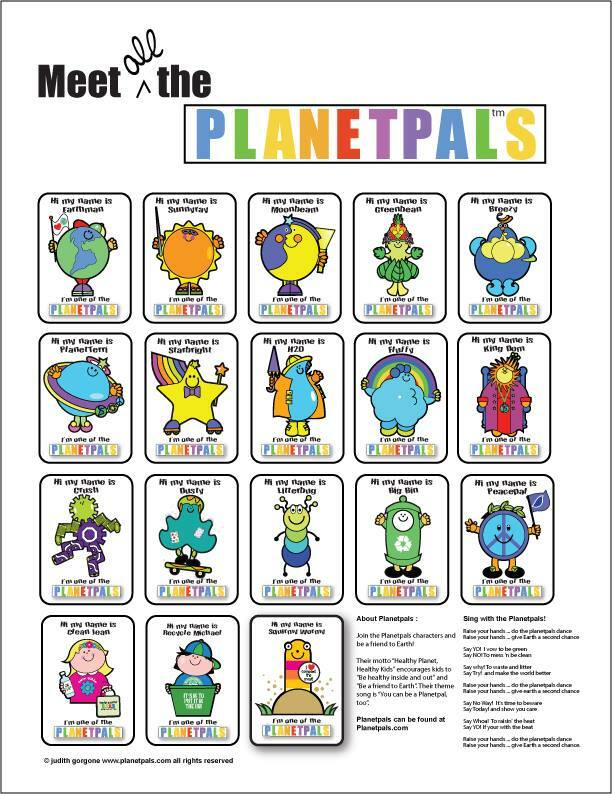 Learn more about the Full Moon Names, Moon Phases and Moon Facts at Planetpals!Go here to learn about Moon Phases. What Would Santa's Carbon Footprint Be? According to this infographic, Santa may be jolly but he is certainly not green. Ethical Ocean took a look at Santa’s environmental impact, and tried to see if they could help him run a slightly more eco-friendly operation. Meant only as a bit of holiday cheer. It seems all the rage, the ugly Christmas sweater, but it's really a great lesson on recycling! 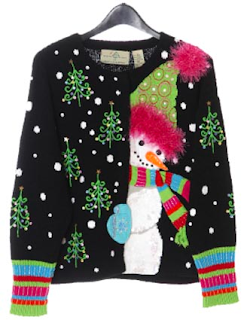 An old sweater (tshirt, vest or sweatshirt), some decorations, baubles and beads magically transform to a holiday fashion statement. 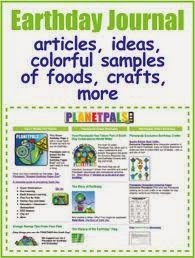 Not crafty? Then scout out one that's ready made. 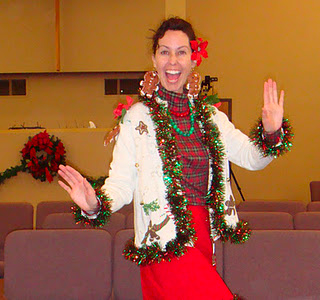 Find a vintage Christmas sweater, once fashionbable, now refashion able. 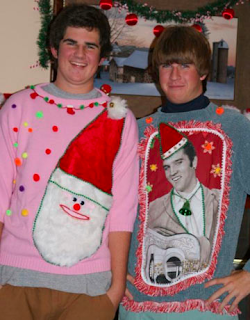 This year my friends had an ugly sweater party, as did thousands of kitchy friends across the country. A time to spread some holiday cheer, pointing and laughter. 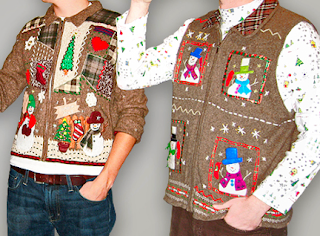 Whether you look like santa, an elf or your 1980's mother; the holiday sweater party is here to stay. 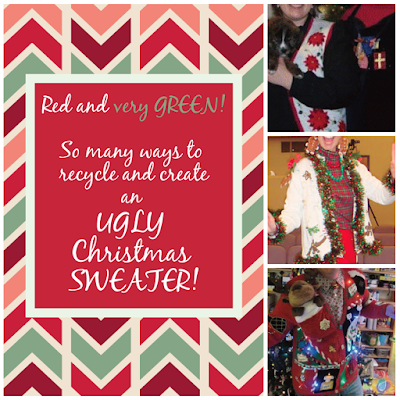 When you finish with your pretty ugly holiday sweater make sure you recycle it, donate it to a thrift or consignment for someone else to find and wear another year! 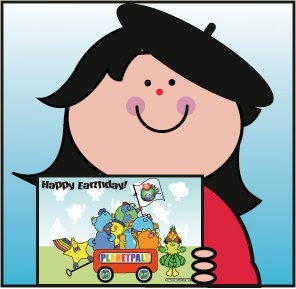 A PEACE of LOVE to you this holiday. 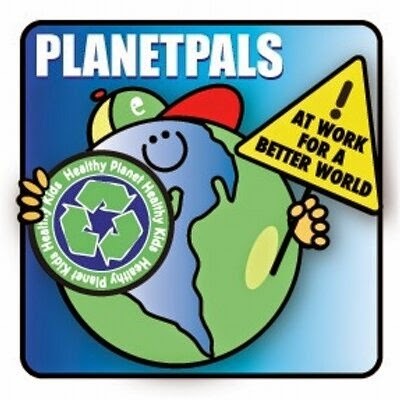 Let Peace Pal teach you to love everyone on Earth everyday in every way. Peace, Love, Harmony and Hope for the New Year. 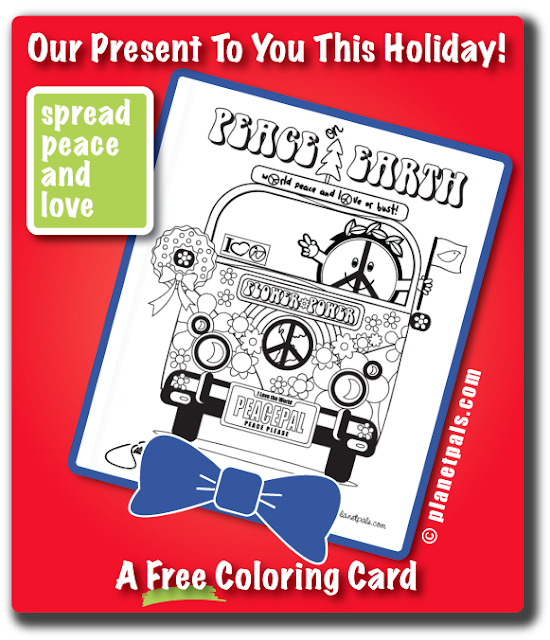 Just download the free coloring book holiday card from Planetpals, Print, Color, Send to a friend.